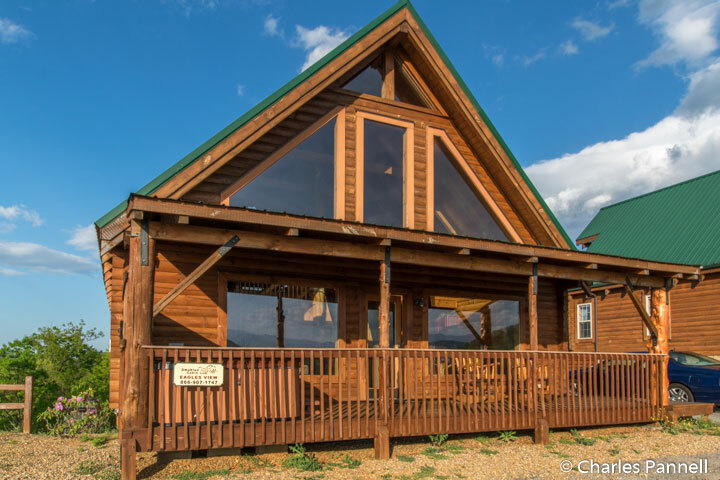 Although there’s no shortage of fun attractions in Pigeon Forge and Gatlinburg, sometimes it’s nice to take a break from the city. Fortunately these popular tourist hubs are just a stone’s throw away from the incredibility scenic Great Smoky Mountains National Park (www.nps.gov/grsm/). The good news is, even though this Appalachian gem is America’s most visited national park, there’s still plenty of room to spread out and enjoy a quiet slice of Mother Nature. So pack a picnic lunch and plan a day away from the hustle and bustle of the city on your next Sevier County visit. Getting to the park is easy. From Pigeon Forge, just follow Highway 441 south to the park; and from Gatlinburg, head east on Highway 321. Either way make sure your first stop is Sugarlands Visitor Center, which is located just east of the intersection of those two major arteries. There’s plenty of accessible parking in front, with level access over to the main building, and to the accessible restrooms on the far side. Inside there’s ample room to maneuver a wheelchair through the small museum and bookstore, and to the ranger information desk. There’s also level access and accessible seating in the theater, where a 20-minute film about the park is shown throughout the day. It’s the perfect place to get a good overview of the park and pick up a few maps. The one thing you won’t find at the Sugarlands Visitor Center — or anywhere else in the park — is a fee collection station, as there is no entrance fee for Great Smoky Mountains National Park. Unfortunately the trail at Sugarlands Visitor Center is not accessible, due to rocks and ruts along the way. That said there is a nicely accessible option just down the road — the Sugarland Valley Nature Trail. It’s located just south of the Sugarlands Visitor Center on the east side of Newfound Gap Road. 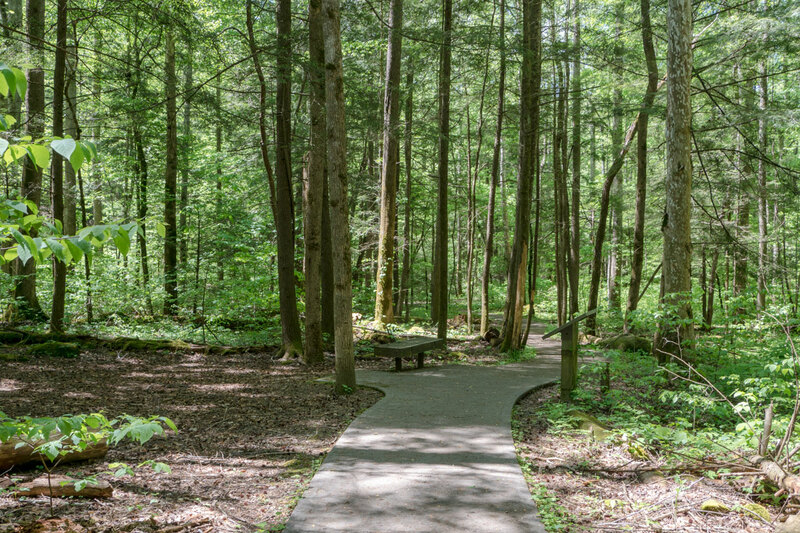 This nicely accessible trail was made possible through a public-private partnership, with $60,000 in federal funding and $90,000 in private donations. There’s plenty of accessible parking near the trailhead, and level access over to the paved half-mile loop. Along the way interpretive plaques describe the natural features of this area, which includes a greater variety of salamanders than anywhere else in the world. It’s also a great place to spot wildlife, including deer, wild turkeys and even bear. And there’s even some unintended evidence of the robust bear population, as a bear tracked through the wet concrete when the trail was built. There are also a few rock chimneys from old cabins along the way, and you just can’t beat the view of the West Prong of the Little Pigeon River. It’s a nicely shaded walk, so it’s an ideal choice for a hot day. 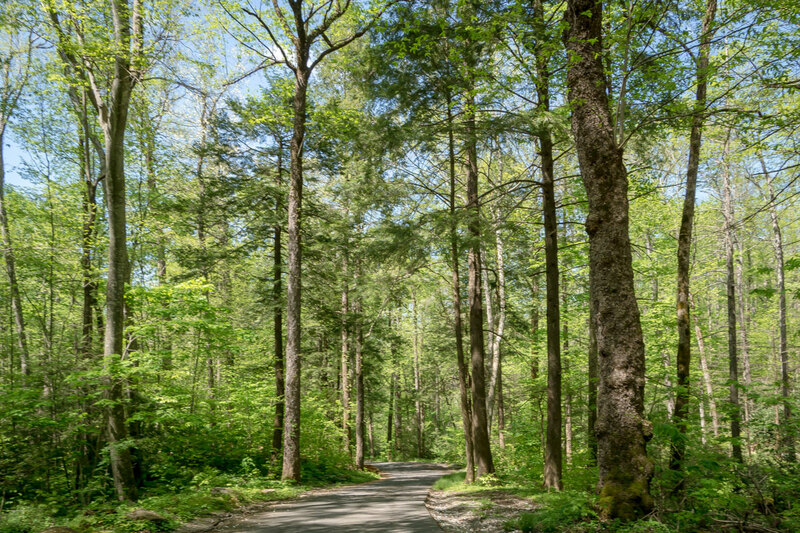 Finally, get an entirely different view of the forest on the Roaring Fork Motor Nature Trail, located just outside of Gatlinburg. It’s easy to find — just follow Highway 321 east from the Sugarlands Visitor Center, and turn right at Stoplight #8 on Historic Nature Trail. You can’t miss it — Bubba Gump’s is on the corner. 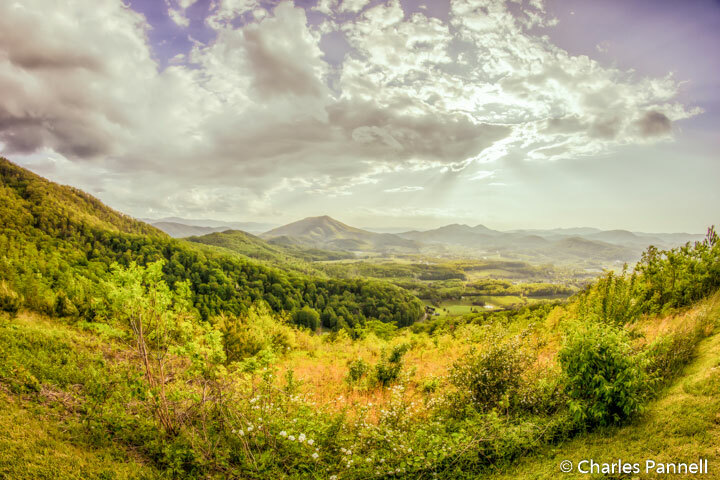 Continue along the road till you hit Cherokee Orchard Road, which will take you to the one-lane Roaring Fork Motor Nature Trail. This 5.5-mile loop drive winds through the forest and offers a quiet look at the national park. Pick up a brochure at the beginning of the drive to learn more about the history and ecological diversity of the area. Best of all, RVs and buses are not permitted on this drive, so it’s a great way to dodge the crowds. The drive begins in a dense hardwood forest filled with chestnuts, oaks, maples and magnolias. The trees arch over the road in places, and in season you’ll even get a glimpse at the tulip trees in bloom. The road passes by 25-foot high Grotto Falls before it transitions into a hemlock forest. Old log cabins dot the landscape, and there’s even a grist mill along the way. Last but not least, the route eases past the “place of a thousands drips”, which becomes a mini-waterfall in wet weather. It’s a very pleasant drive, but it’s important to note that the road is closed in the winter. Additionally, it’s an absolutely gorgeous fall foliage route.